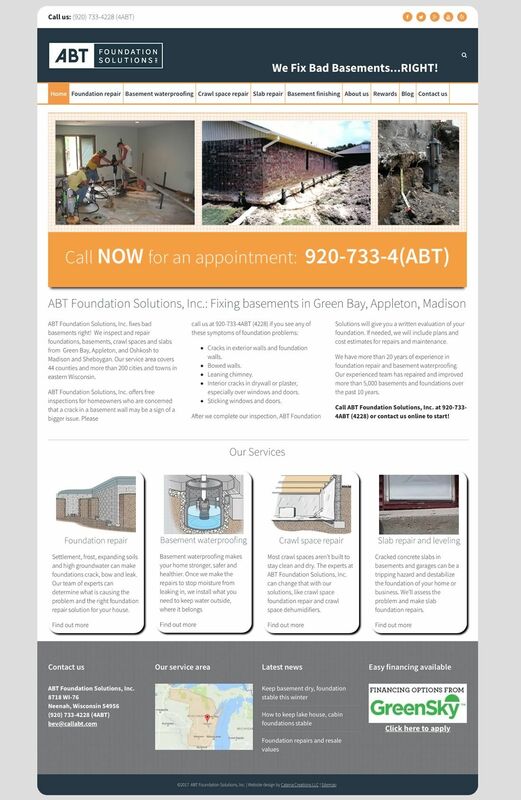 Catena Creations redesigned the website for ABT Foundation Solutions in January 2016. We rewrote all content, updated images, and added enhancements for search engine optimization while building the site. We managed and updated the site until December 2017, blogging once a month and making changes where needed to improve SEO performance. The site ranked first and second in search engine listings for its targeted keywords. The SEO and pay-per-click advertising plans managed by Catena Creations and our partners achieved a 980% return on investment for mobile search listings.